Black ribbed pattern puncture proof tyre red steel centred wheel with a roller bearing. Diameter 400mm, tread width 100mm, bore size 25mm, hub length 77mm. Load capacity 200kg.for non towing applications. REACH Compliant. 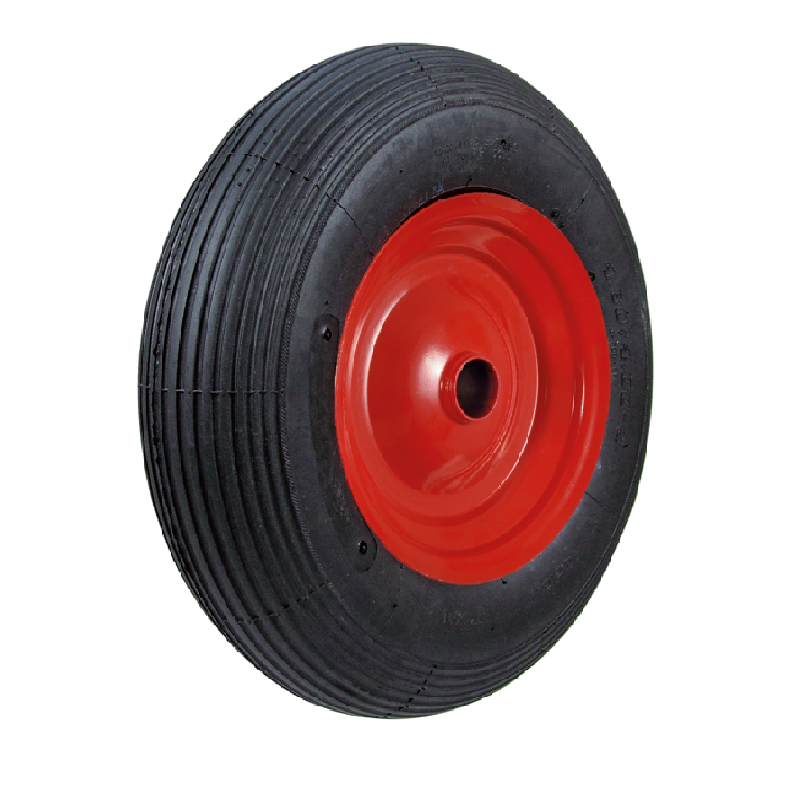 Black ribbed pattern puncture proof tyre red steel centred wheel with a roller bearing. Diameter 400mm, tread width 100mm, bore size 25.4mm, hub length 75mm. Load capacity 180kg.for non towing applications. REACH Compliant. 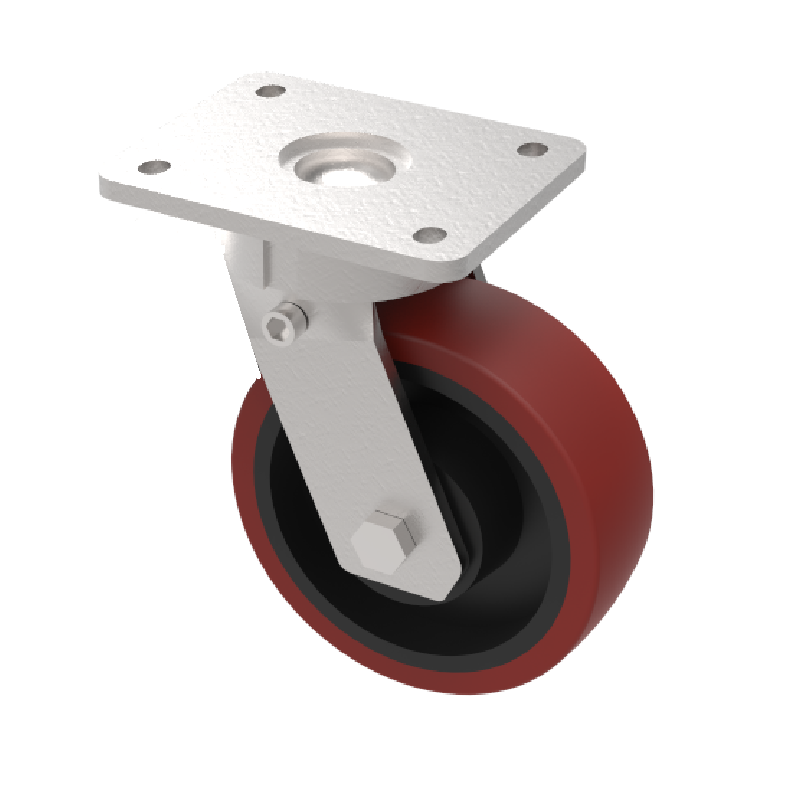 Black ribbed pattern puncture proof tyre red steel centred wheel with a roller bearing. 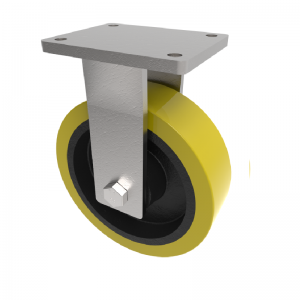 Diameter 400mm, tread width 100mm, bore size 25.4mm, hub length 65mm. Load capacity 200kg.for non towing applications. REACH Compliant. 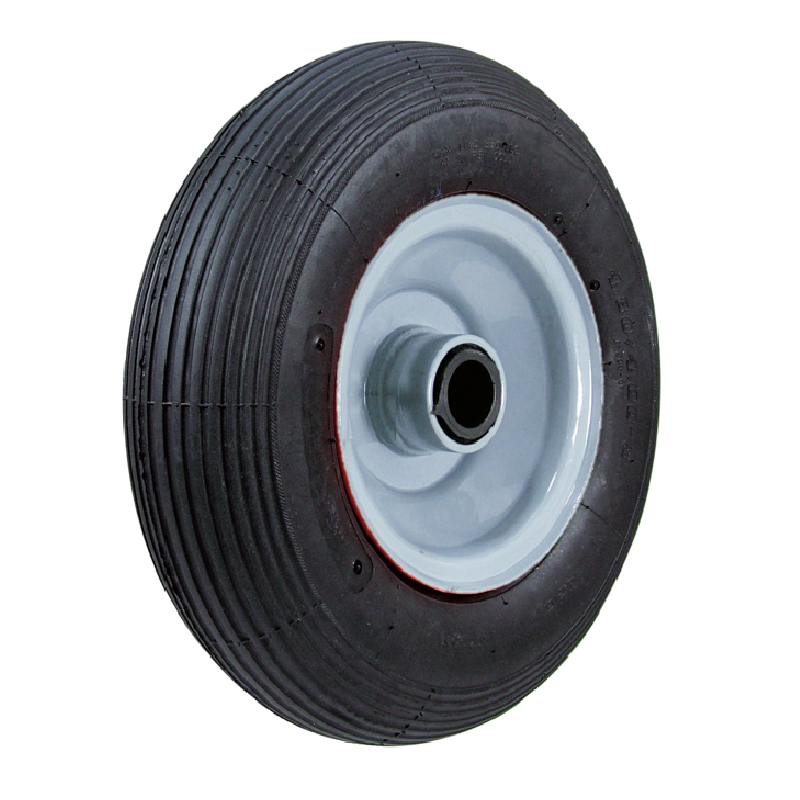 Black ribbed pattern puncture proof tyre red steel centred wheel with a roller bearing. Diameter 400mm, tread width 100mm, bore size 25mm, hub length 65mm. Load capacity 200kg.for non towing applications. REACH Compliant. 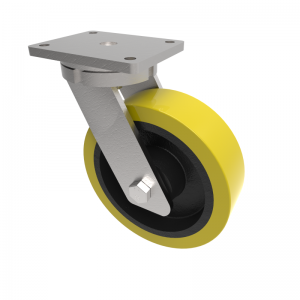 Fabricated swivel castors with a top plate fixing fitted with a polyurethane tyred cast iron centred wheel with ball bearings. 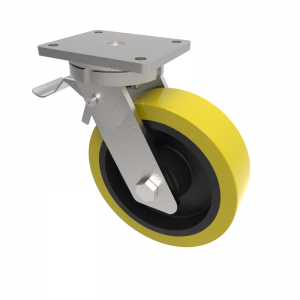 Wheel diameter 150mm, tread width 75mm, overall height 210mm, top plate 185mm x 135mm, hole centres 156mm x 105mm, slotted to 135mm x 85mm. Load capacity 1150kg.